As the wedding season is approaching, lots of wedding cards have started piling up. Every woman gets pumped up to buy new ethnic clothes. And everyone wants to look different and unique in a wedding. Everyone wear ethnic all the time. Even in day to day life you get bored of wearing same styled clothes. Going to your same online platform and searching Women’s ethnic wear online gets boring. I am here to make your ethnic wear look more fabulous. Some women try new things to spice up their look. If you like to spice up your look then here are some styles you can try to manipulate your look and look different and trendy. In summers, everyone looks for something comfortable and tops that absorbs sweat easily. You can pair your lehenga or palazzo pants with crop top as a choli. It looks amazing as well as it keeps your body cool. 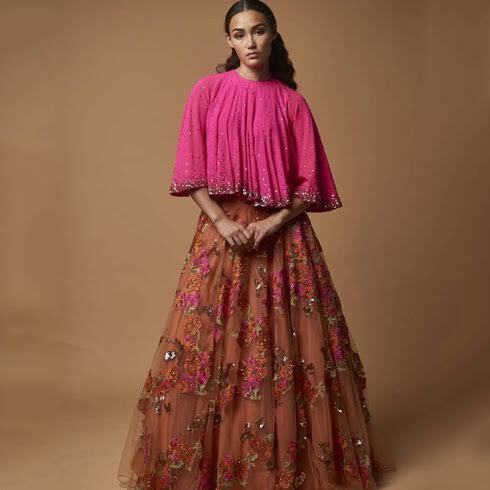 But if you’re wearing a crop top at a wedding there are two things that you should keep in your mind: – first it should be colour coordinated and the second is that it should look a bit ethnic or keep it plain and give a heavy look to the palazzo or lehenga. Most of the ladies like to wear saris at weddings or at work but the how to spice it up? Don’t worry we can help you with that. Sari’s pallu is the focus how you carry the pallu. You can wrap it around your neck or you can make a knot on the pallu on the waist and then on the shoulder or you can tie a belt around your waist after wearing the sari. You can mix match your outfit in whatever way you want. 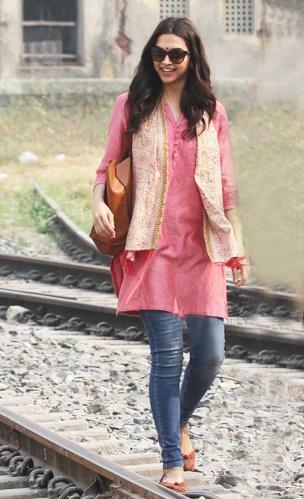 You can wear an ethnic jacket with a tang top and a pair of jeans. It will be like fusing Indian with Western clothing. An office going woman can never have enough clothes to wear. She always wants more clothes. What you can do is pair a kurta with a palazzo pants. It would be comfortable, good-looking and easy to carry outfit. Summer breaks are a very lazy period. You’ve got nothing to do but to stay lazy all day. 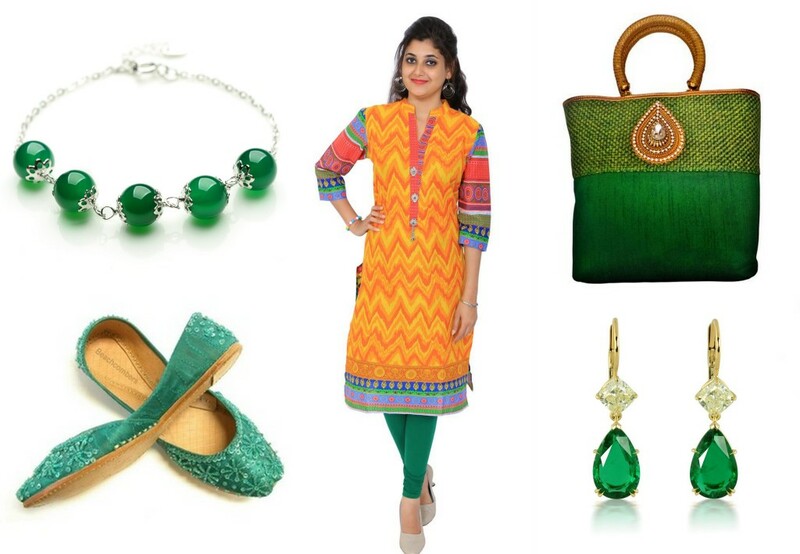 This outfit is easy going ethnic and good-looking you can wear it in temples, in daily wear or anywhere you feel like because it is the very easy and comfortable to wear. You can always accessorize your clothes according to your preference. You can accessorize your ethnic look for various purpose- office, wedding, shopping etc. You can spice up your look with hand bracelets, neck pieces etc. 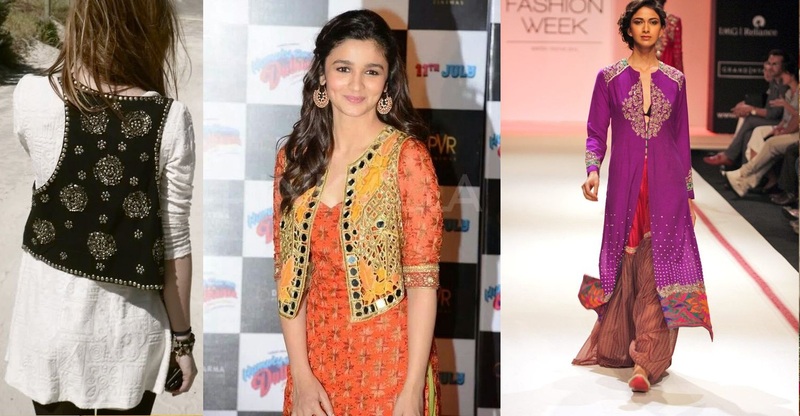 These are some looks you can spice up your ethnic wear with. To see some exotic women’s ethnic wear online, do visit Indiashopps.